Superb Victorian silver pommel with the Hallmark for London 1886. 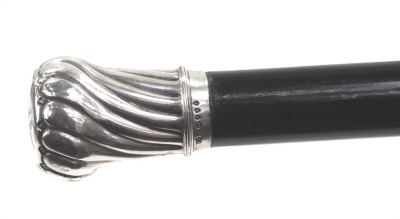 Silver pommel on black polished hardwood shaft.with base metal ferrule. The pommel holding a decorative monogram. The large silver pommel holds minor usage wear. Free from breaks or damage.The cane shaft re-polished back to it's original standard.